Good selection, good quality. 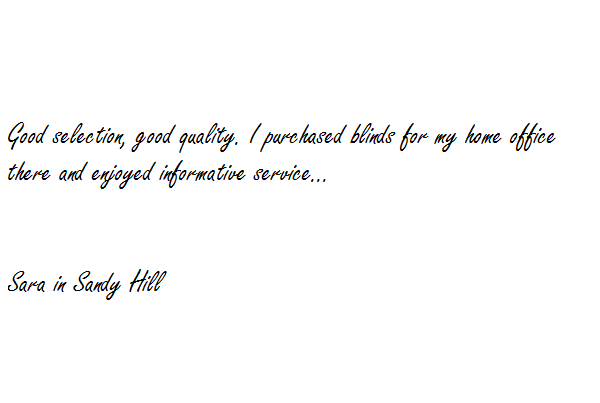 I purchased blinds for my home office there and enjoyed informative service. The blinds are exactly what I was looking for and they arrived at the projected delivery date.